PESHAWAR: The police department has cancelled leaves of its staffers deputed at the Peshawar university campus and asked them to remain on duty in view of security threats to the campus, sources say. A high-level meeting attended by SSP operations Mian Mohammad Saeed, campus police commandant Mohammad Hussain Khan and army officials on Wednesday took stock of the situation and decided to further strengthen the security. The sources said that there were fresh threats to various departments due to which security at the campus needed to be reinforced. They revealed that recently some phone calls had been intercepted that showed any untoward incident could happen at the campus. 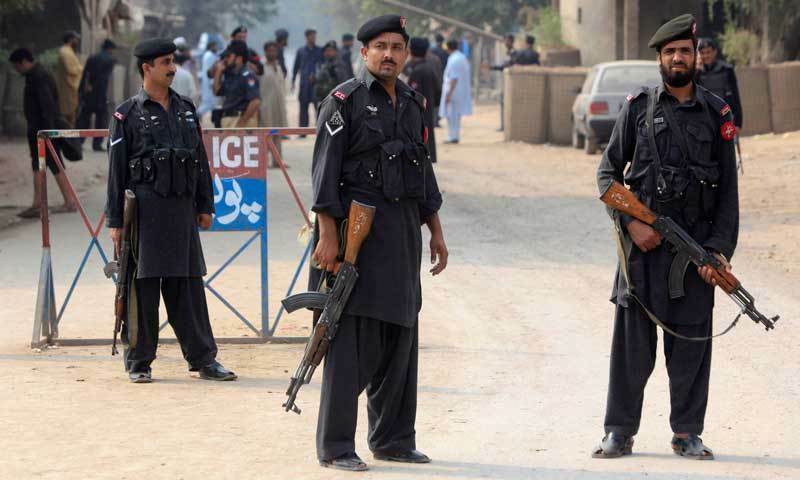 Over 300 policemen deployed at the campus – which houses the University of Peshawar, University of Engineering and Technology, Agriculture University and Islamia College University – have been asked to ensure presence on duty. The varsity administration has already enhanced security arrangements at the campus since the Dec 16 attack on Army Public School, Peshawar. The administrations at almost all educational institutions have raised boundary walls, installed barbed wire and increased the number of security guards to cope with the security situation. “We can’t take chances. We should be prepared to cope with any eventuality. 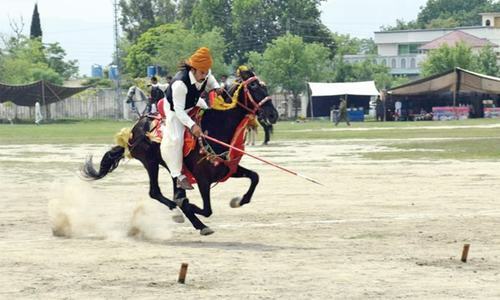 We suffered due to terrorism and have to take appropriate measures,” said campus SHO Imran Khan. However, he said that there was no specific threat to any department or person, and such meetings were part of the routine coordination among the police, army and varsity’s administration. The sources also said that strict security measures adopted by the police following the APS tragedy had been creating problems for the people who visited the varsity daily as at present only one exit gate opposite to the Khyber Teaching Hospital was being used. They said that gate-1 of Islamia College University had been closed for vehicles after the incident of kidnapping of its VC Mohammad Ajmal Khan in 2010 and the people had been using only the gate-2 for entry since then. 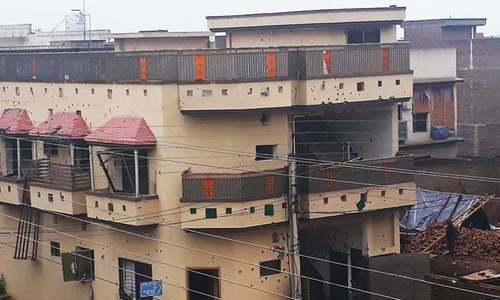 The sources said that the campus had about 52,000 students and 4,000 employees, including teachers and support staff, besides over 100 houses which were being guarded by police. 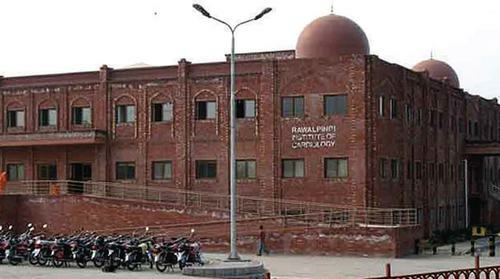 According to them, the varsity police could not open the Islamia College Gate-1, located near the Board of Intermediate and Secondary Education office, as far as the security threats exist. Regular visitors to the varsity have to go through a great deal of hassle. Anyone intending to reach the Islami College University enters at gate-2 and reaches the Coffee Shop from where he takes left to reach the parking area and then go to the varsity and all this takes about 20 minutes. Leaving the varsity is cumbersome, too. For this, one has to first reach the road-2 in front of Irnum only to be able to get to the University Road. In rush hours, the people face hardships due to traffic jams on road-2. Police is well aware of all of this, but still the threat is not over, said a senior professor. He said that they had repeatedly asked the police to relax security, but it might not be possible as yet. The sources said that the police were focusing on the security of campus following information suggesting that terrorists could target it. Are there enough security forces to protract universities and common people places? I though they all are busy guarding the VIPs! after supreme court decision on military courts Universities will be targeted frequently.